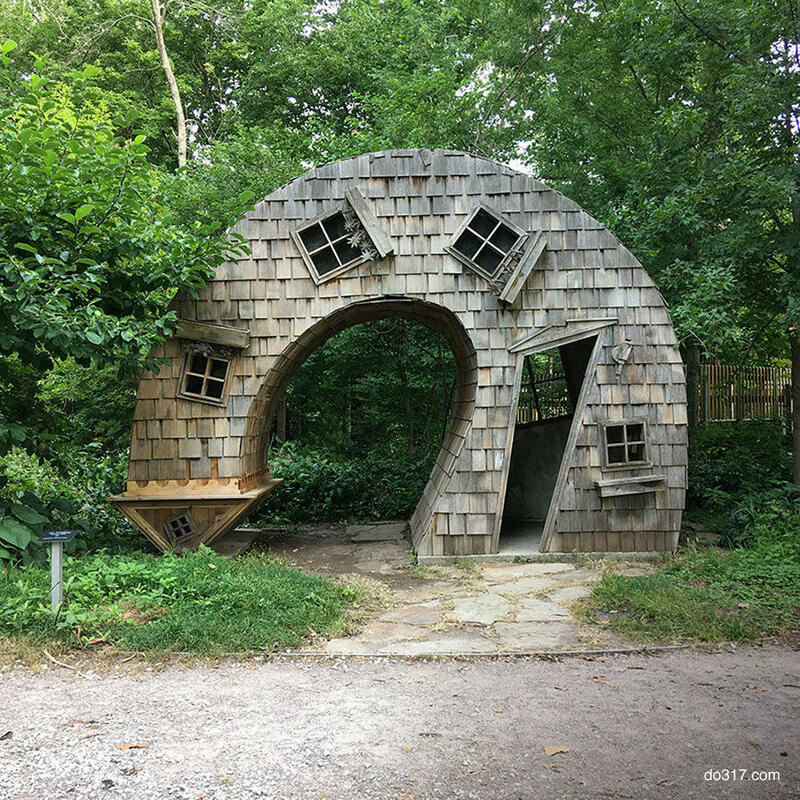 A sculpture designed and built by John McNaughton, Twisted House is a lopsided house bent curvingly on its side with the pointed roof turned into the ground. The charming but disturbing cedar structure brings up feelings of ambivalence - it's hard to determine exactly how you're supposed to feel in its presence. The message that the artist was conveying is open to interpretation or perhaps he was just feeling fanciful.